We at Revolution Motor Works believe in customer appreciation, because without our customers we don’t have anything. We know that “word of mouth” is the best advertisement and that finding an honest and reliable auto repair shop is tough. We want to make it easy for you, your friends and your family. We want to show you a “New Era in Automotive Service” by giving you a great value and a high level of service for your money. Each of the many different makes and models of cars on the road today has its own unique maintenance schedule. One of the higher-end brands on the market is Audi. Audis have been around for a long time, gaining many fans over the years. 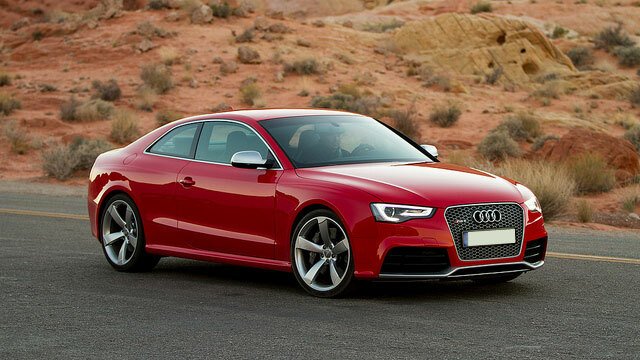 Every Audi needs servicing, whether it’s because of a road hazard or years of wear and tear. Keep your vehicle on the road as long as possible by bringing it in for regular check-ups. If you live in or around Finksburg, Maryland, Revolution Motor Works is your go-to Audi service provider. Revolution Motor Works specializes in servicing Euro cars, including every model of Audi, including the A3, A4, A5, TT, Q3, RS7, even the A8 and R8. Revolution Motor Works is ready and able to service them all. Owner-operators Jorge Gilligan and Jason Garrish are the secret to our success. These men have dedicated their professional careers to honing the skills and gathering the knowledge needed to tackle any automotive maintenance or repair issue. There’s no problem too big, no task too difficult. Don’t take chances with Audi repairs - Revolution Motor Works is 100% dedicated to keeping you on the road. Believe us: your Audi will thank you for it. Whether your Audi needs work done on its air-conditioning (A/C), brakes, engine, electrical system, tires, transmission, or something else entirely, Revolution Motor Works is here for you, ready to get the job done. Jorge, Jason, and our team of expert technicians take such pride in the work we do on Audi automobiles that each repair service comes with a 2 year, unlimited-mile warranty. You can’t lose with Revolution Motor Works. If your Audi needs maintenance or repairs in the Finksburg, MD, area, Revolution Motor Works is your best option. Are you looking for an Audi dealership alternative in the Finksburg area? Our Audi customers love Revolution Motor Works because the second you walk in you can feel a difference! Our shop is clean, our staff is courteous, and our mechanics are caring. Because RMW is on a mission to change the auto repair industry. We’re tired of hearing horror stories from people all over Maryland and the United States about people getting ripped off. We opened our doors in 2014 after decades of experience at dealerships and other repair shops because we wanted to provide our community a safe repair shop that will serve them with honesty, quality service, and love. European car owners come to us all the time because they know that they can trust our diagnostics and repairs. Audi owners like Chris (below) love Revolution Motor Works! For full Audi repair at fair and affordable prices, give Revolution Motor Works a call today.